Miami, Fl, August 30, 2011 – The Miami Chapter SBA and SCORE SCORE.org welcomed Miami CPA Gustavo A Viera as its newest counselor. 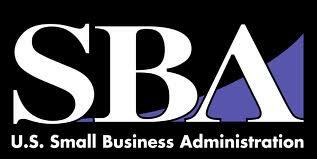 SBA and SCORE is an organization partly funded by the Small Business Administration (SBA). Originally the acronym for “Service Core of Retired Executives”, SBA and SCORE is now “Counselors to America’s Small Business”. Based in Washington, D.C., SBA and SCORE is a nonprofit with more than 13,000 volunteers working out of 369 chapters around the country offering advice to small businesses. Volunteers who work for SCORE Miami-Dade and other chapters come from varied backgrounds and areas of expertise. Counselors from the group will meet with small business owners and offer free advice. The chapters host dozens of low-cost workshops. SCORE Miami-Dade has 73 counselors and has recently doubled the number of workshops it offers.